Days are gone when wearing glasses was boring. Now, with the looks of Geek chic in Vogue, glasses have become more popular and trendy. If you wear glasses it sometimes gives the feeling of being hidden behind the frames. Bobbi Brown who has just bought eyewear designer range actually sees glasses making a difference and bringing attention to your face. You should wear makeup that complements with your glasses. Glasses showcase the entire area of eyes including eyebrows. A well-groomed brow draws the attention on the eyes. With a small angle, brush tweezes the strays and fill the gaps with an eyebrow pencil preferable with a lighter shade than your hair colour arching at the midpoint of the eye. A bold lip colour like red balances statement making glasses. If you carry a strong colour on your lips it will surely divert the attention to your lips instead of glasses. Frames sometimes leave impression underneath the eyes, so using a yellow based concealer becomes a must. Neutral or lighter eye shadow color on the lid is better as it will define your eyes naturally. Save the bright colors for the lips. However, with darker or bright colours your eyes will look much heavy behind the glasses. For thicker frames go for a thicker eyeliner or for rimless glasses a thin eyeliner would be good. Flossing the fringe brings life to the lashes instantly. So, use heavy mascara on lashes. 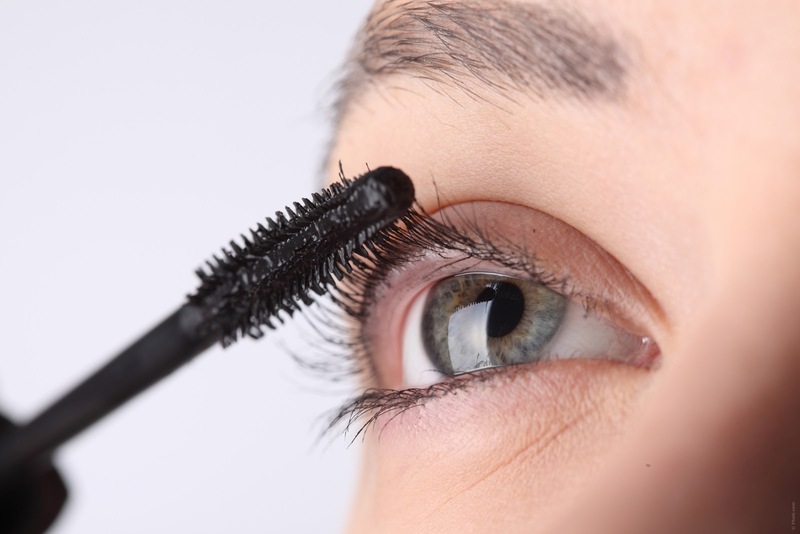 A curl by eyelash curler can bring magic to lashes. However, eyes stand behind the glasses a non-black eyeliner would add stars to your frame. Do let us know if you have any other tips to get added to the list.